Bespoke anti-bullying training sessions are delivered within your school setting for up to 30 students. 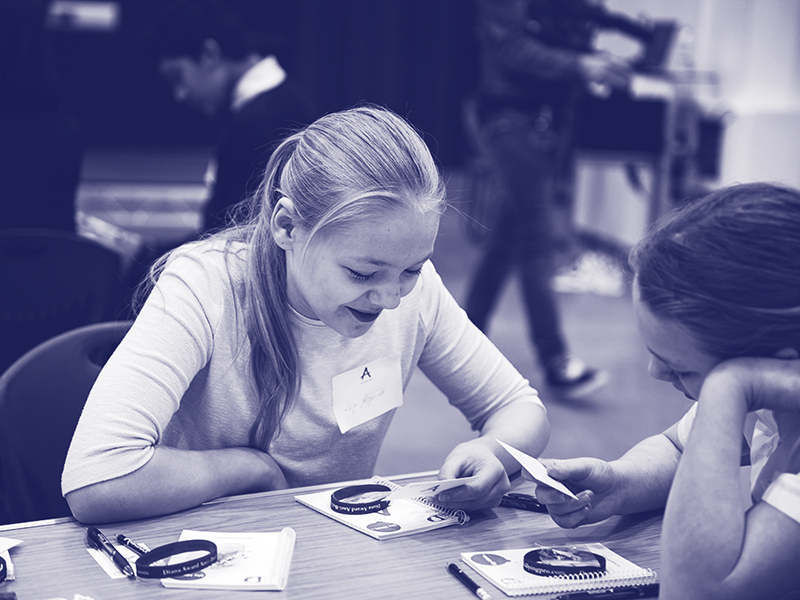 The young people in your school are trained to become Anti-Bullying Ambassadors by equipping them with the knowledge and skills they need to tackle bullying and raise awareness within their school and local community. We offer bespoke packages such as assemblies, workshops, talks with parents and will aim to tailor your training day to your requirements. Each young person trained will receive a workbook, pen, pencil, notepad, Ambassador Badge, wristband, certificate and a guide for their parents/guardians. All staff who attend our Anti-Bullying Ambassador training will receive our monthly Anti-Bullying Plus: Aftercare support emails which share suggestions for good practice, useful tips for implementing your anti-bullying policies, inspiration from our featured school of the month and regular support opportunities through our ‘Feedback Friday’ scheme. You’ll also be invited to partake in our free Upskill training, available to all trained Anti-Bullying Ambassadors as a next step to help you take your anti-bullying work to the next level.